The 55 foot crane can "fill, lift and launch a tennis-court sized balloon in under 30 minutes." With Project Loon, Google aims to provide wireless, high-speed internet to underserved areas like the entire nation of Sri Lanka. The team has figured out how to guide them around the globe using prevailing, high-altitude winds and the current design can stay aloft for nearly 100 days. To start delivering a service, Google just needs to get lots of balloons in the air, and that's where the portable autolaunchers come in. 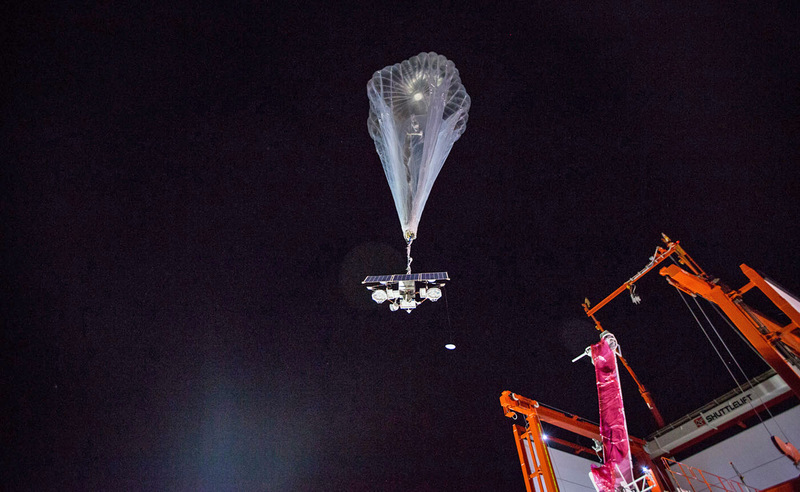 First revealed last May, Google recently showed off how it launched a Project Loon balloon in Puerto Rico in just a half-hour using the 55-foot tall crane-like device. The team said that the portable autolaunchers "allow us to move our whole operation to places that give us access to favorable wind patterns that can help us provide internet connectivity around the world." They also keep the balloons out of stiff breezes until the moment of launch, providing greater control. The balloons can now communicate with each other in the air, so the Project Loon team just needs eight ground stations and a network of balloons to provide full wireless coverage to a region. The system is expected to be deployed some time this year in regions of Latin America, West Africa and Asia.